Defensive and versatile midfielder Ryan Exon will reach his 50-game milestone this weekend when Coburg take on North Melbourne. 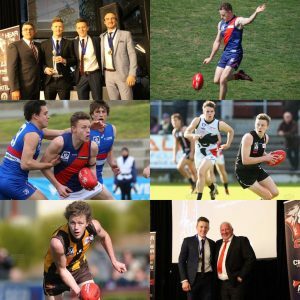 The 24-year-old has made quite the impact since becoming a Lion at the end of 2016, having previously spent three seasons with Box Hill and one season at Frankston. Last season was arguably his best, playing in 17 senior matches and averaging 18 disposals and six tackles per game, which saw him finish the Brad Nimmo runner-up in the Lions’ Best & Fairest count, while also taking home the Trevor Price Team Spirit Award. Named Lion of the Round twice in 2017, he has already picked up where things left off after being named Lion of the Round in round one this year. With 49 senior games currently to his name, Exon can’t wait to get out onto Piranha Park on Sunday. “I’m really excited; obviously being in my third club now, to get to 50 games is a pretty proud achievement, and hopefully we can follow it up with a win!” he said. Having played 20 games as a Lion so far, he remembers the first win of last season as a pretty memorable match. After captaining Oakleigh Chargers to a TAC Cup premiership in 2012, Exon signed with Box Hill for the 2013 season, and was named 23rd man in their Grand Final win against Geelong after just four senior games. “Playing in the flag at Box Hill in my first year, that was pretty special to me to come out of TAC (Cup) and get involved in a VFL premiership,” he continued. Exon spent the 2016 season as a Frankston Dolphin, before finding a new home at Coburg. Still looking for the first win of the season this weekend, Exon hopes the Lions can continue to see improvements as a team, while learning from one another. Come see Exon and the Lions in action for his 50th game on Sunday, with the first bounce at 1pm at Piranha Park.